According to tradition, the gold-bedazzled king and the miller's daughter are wed. But wait just a minute! This king is definitely not husband material, and there's someone else who is -- a hardworking guy who's supportive and nice looking, and who really comes through in a pinch. Why not marry Rumpelstiltskin? 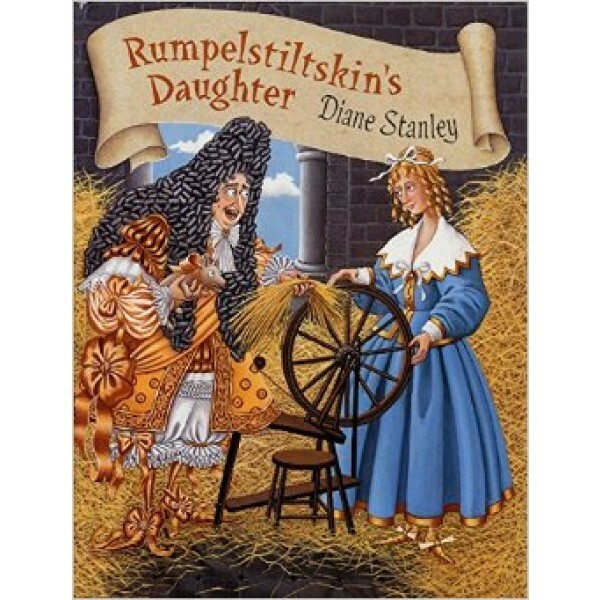 The children's classic "Rumpelstiltskin" undergoes an attitude update in Rumpelstiltskin's Daughter by Diane Stanley. Yes, the king imprisons the miller's daughter Meredith and threatens death if she doesn't spin mountains of gold, but this time it's a kind and cute, not a troll-like and evil, Rumpelstiltskin who rescues Meredith from the king's wrath. Rumpelstiltskin's heartfelt request for Meredith's first child as payment for the spun gold is accompanied by promises that he will read to the child and even coach Little League! Meredith cannot resist such promises, and the two escape from the palace, marry the next day, and settle on a farm far from the king. The story picks up some 16 years later. Meredith and Rumpelstiltskin have a "sunny and clever" daughter named Hope who delights in traveling to town to sell the golden coins spun by her father. On one such trip the greedy king crosses Hope's path and, after spying the gold coins, sets her to spinning gold in a cold palace cell. Hope cooks up a plan that results in prosperity for the people of the kingdom and her appointment as prime minister. 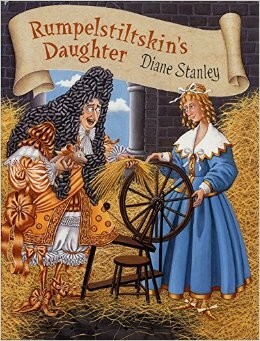 Diane Stanley's irresistible prose and detailed illustrations make Rumpelstiltskin's Daughter a golden yarn that's sure to be spun over and over.